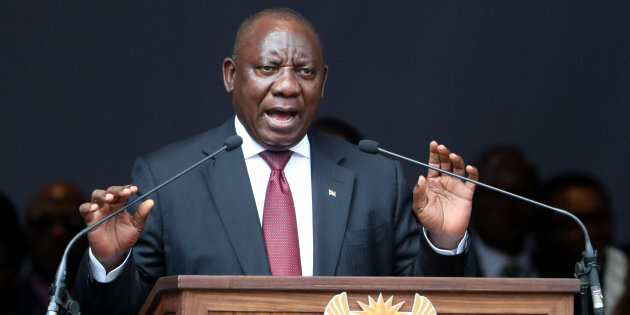 President Cyril Ramaphosa recently launched the Youth Employment Service Initiative (YES), a partnership between business, government, and labour. YES aims to empower South African youth and black-owned SMMEs by placing the former into the latter, through the assistance of a number of large South African businesses including Investec, Unilever, and Absa. This initiative looks to provide unemployed youth with a first chance to get into the labour market by encouraging businesses to offer jobs, funded for one year by the government. A key success factor to the sustainability of this initiative will be the ability of these youth to add sufficient value to warrant their employers funding the jobs after the initial year. If not, companies may not opt to keep the people on once the funding has dried up. How do you ensure these young people are in a position to justify the value they provide to the companies who sign up for this program? Offer them a wide range of courses to skill them up on the specifics of the targeted jobs. Leverage the Skills Development Fund to sponsor role-specific training that can help these young people learn the skills required to perform in their roles. Then, give them on-the-job coaching. While formal training remains helpful, it does not always translate into improved performance on the job. For this to happen, on the job coaching is essential, with inexperienced workers benefiting from the on-the-job guidance of experienced workers. It’s time for us to really think out of the box, and not simply look to do more of the same if we are to address our skills and employment issues. Unfortunately, many companies lack the spare capacity to provide this to new employees, even if their salaries are being sponsored. Experienced workers come at a premium, and are often too overwhelmed by their roles to carve off time for coaching others. The result is that new job entrants often end up doing menial work simply because the cost of supporting and coaching them is too high, which then raises the risk of them making a costly mistake. If we can’t solve this issue, we risk spending a lot of money sponsoring people in jobs where they don’t get given the chance to build meaningful skills and experience. Technology offers a solution, however. Using AI platforms, companies can build digital experts that can coach staff as they perform. These digital experts can be built in such a way that they act like real experts, capable of diagnosing the person’s situation and then guiding them through required actions in real time. Think of them as decision-making GPS, where the roads are all required policy, procedure and product rules. Depending on the situation, the GPS can adjust the route that should be taken. The same applies with online experts, where they can guide people through all known actions in real time, ensuring they consider the right factors and take the right actions, all with detailed records to prove it. It’s time for us to really think out of the box, and not simply look to do more of the same if we are to address our skills and employment issues. While the idea of using AI idea may sound futuristic and pie in the sky, it is happening in businesses across the country and it has been proven on the ground in multiple contexts. By augmenting people with digital intelligence, we empower them to learn as they work, and to become value-adding staff within weeks, not months. By investing in digital experts that can be accessed by everyone, 24/7, we can standardise the coaching support across all YES participants. We can make them capable of performing in their roles from day one. And we lower the risk of them making costly mistakes. The YES initiative is an extremely positive step in the right direction, and we need to consider innovative ways to ensure the sustainability of these jobs. A key way is to offer everyone a real-time expert at their fingertips, one that can help them navigate their roles and improve the likelihood of their success.